Up for review today is the La Mission by L’Atelier. I’ve never considered myself a big fan of Tatuaje cigars, but I’ve been surprised by how consistent and enjoyable I’ve found L’Atelier blends to be. La Mission was launched in 2015, and since then has built quite a reputation among enthusiasts and cigar reviewers alike as a phenomenal cigar. Part of that, I’d assume, is because La Mission features a Mexican San Andreas wrapper, known for producing rich, sweet, and balanced (if a touch dry) smoke. 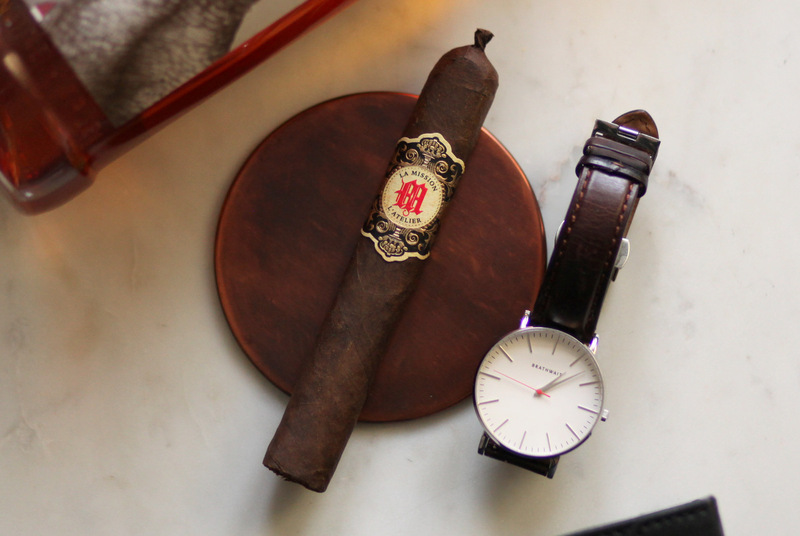 La Mission is one of those cigars that oozes elegance and panache. The label is one of the most beautiful that I’ve seen. The gold, black, white and red contrast well and make quite a statement without being gaudy. Props to L’Atelier for that. The cigar itself is a dark chocolate brown, within minimal veins and a bit of toothiness. Off of the foot are aromas of dry cedar and coffee. The pre light draw has the perfect amount of restrictiveness and I pick up some wood and earth notes. It only takes two puffs for me to know this will be a very enjoyable smoke. This cigar has a really interesting opening flavor profile, with some traditional San Andreas Maduro notes (dark chocolate, burnt espresso), but paired with those notes are really enjoyable notes of leather and molassas. 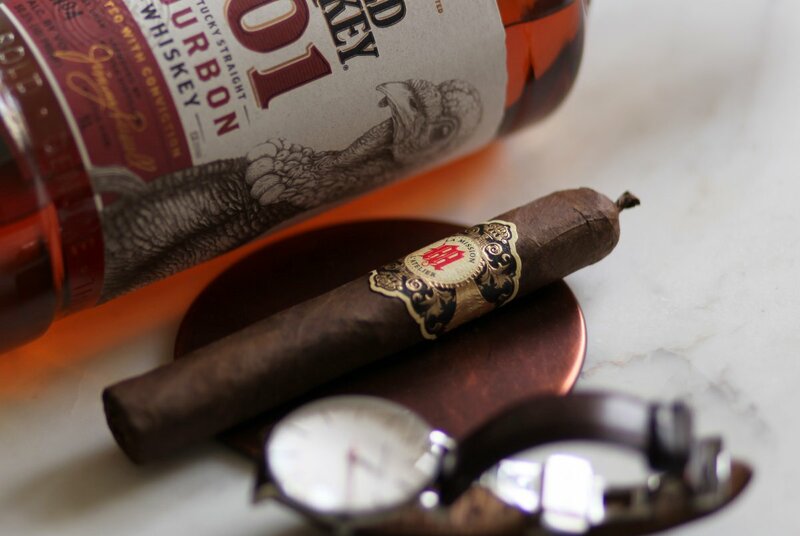 The cigar produces tons of medium bodied smoke, making flavors that much easier to experience and discern. At an inch in, the strength of the cigar has backed down a bit, with some of the toasty edge subsiding. At the same time, a smooth milk chocolate note emerges that is complemented by touches of cedar and creaminess. Construction is nearly perfect, with a solid gray ash and a straight burn line. As the cigar progresses in to the second third, the chocolate notes back down and a dominant white pepper note emerges on the palate (while, interestingly, all but disappearing on the retrohale). Construction remains perfect. At this point, I’m really enjoying the La Mission and can already give it a positive recommendation. In the final third, the cigar remains a medium in terms of strength and body. The flavor profile is a balanced mix of chocolate, leather, some toasty woodiness, and white pepper. The flavors keep cruising with this profile until the cigar winds down (at the nub). La Mission may be my favorite cigar from L’Atelier that I’ve smoked yet. At ~$8 per cigar, it has a quality/price ratio that’s impossible to ignore. Do yourself a favor and pick up a fiver.